The tug of sleep. The tug of the bed. These are the bane of every depressive's existence. But if I am honest with myself, this time I might just be bored. I think I've got anorexia of the soul, and boredom is one of my seven deadly sins (I refuse to count sloth). In AA they have the acronym H.A.L.T. - Hungry Angry Lonely Tired. As in, watch out for any of those states of being because they can trigger a drink/relapse. And for me I need to add B for Bored. B.H.A.L.T. My soul is starving for something good to do and I best not get into any trouble. 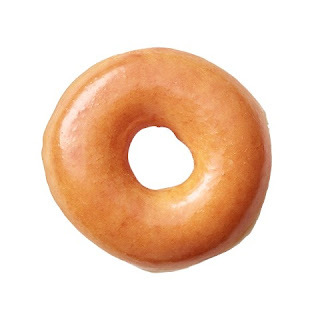 Trouble for me could be anything from going to Krispy Kreme and ordering three (OK, four) donuts, to over-spending on a shopping spree, to getting involved with inadvisable men. I've been sober over twenty years so I probably wouldn't pick up a drink but you never know. Besides none of those would actually nourish my soul, either in the short term or long run. I love to bake but am attempting Weight Watchers right now so a baking frenzy is out of the question. I did cut some bangs into my hair, and I have a scarf that I've been knitting on and off for three years. But I need something more. I need to spark my imagination. For some weird reason I can't focus on reading lately which upsets me because that used to be my most favorite thing to do and it used to take up a lot of my free time. I feel like I've developed ADD (another acronym!) in my old age, and I am not exaggerating or trying to be funny when I say that. I want your ideas Folks. This is going to be a short blog post because I want you to do all the heavy lifting this time. Comment below! Tell me, what nourishes your spirit? What keeps you from the having anorexia of the soul? Tell me what truly satisfies you, or what you think might satisfy me (no rude comments please). Just to let you know though, I'm a bit of a scardycat, I don't have a ton of money, I am not at all sporty, however I do like to think of myself as creative. Or it could be that I am depressed after all which is why I feel this way. It's a goddamn catch-twenty two but either way I'd love to know what you think, and to see if I can actually get someone to comment on my blog. So go! Well the cheese stands alone I guess lol.